Dr.Charoo Tangri is a renowned Dental Surgeon with an experience of more than 30 years and is presently practicing at Dr.Tangri’s Dental and Orthodontic Centre. She finished her B.D.S. from MDU University, Rohtak and stood first in the subject of General Anotomy and Prosthodontics. She was awarded Silver Medal for being Second Best Graduate in B.D.S in the year 1985. 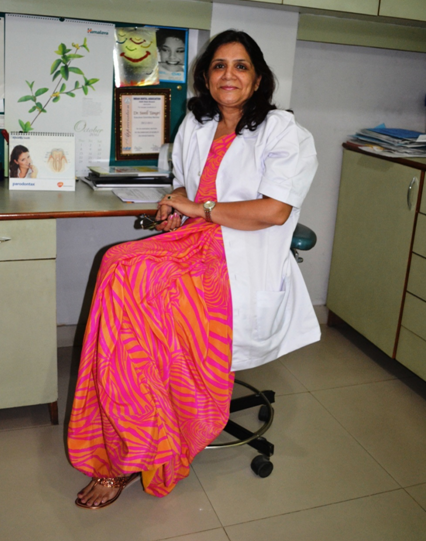 After her graduation,she has also worked at Safdarjung Hosoital in the year 1986. R-4, Nehru Enclave New Delhi 110 019, India.